Speakers will share their successes and best practices in medical information and contact center departments. Fill out the form below and email to CustomerService@DIAglobal.org or fax +1.215.442.6199. 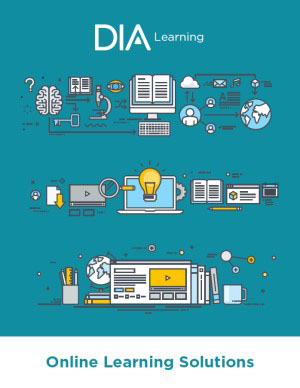 DIA's Latin America Medical Information and Communication Workshop is organized by medical information professionals supporting Latin America. Speakers will share their successes and best practices in medical information and contact center departments. Local, as well as regional and global approaches, will be reviewed. You will have numerous opportunities to take part in discussions and network with colleagues within the pharmaceutical industry. *Both English and Portuguese will be spoken during the Workshop. Simultaneous Translation will be available. The first DIA Medical Information Workshop in LATAM was a great event! All the topics raised were totally aligned with our daily work and challenges. Also, we had a good number of professionals from different companies, everyone working together in order to share best practices and successful cases that could contribute a lot to who matters the most, the patients. Only meeting like this in Sao Paulo. Great content and networking! Check out our infographic for key questions on the minds of medical affairs professionals and how they will be answered at the conference. Brazil – Compliance: What is the Balance Between Medical Affairs Services and Customers? Speakers will discuss improvements to medical service work to patients through medical services, analyze how medical pharmaceutical industry services can contribute to compliance within the public health environment, and identify unique opportunities in which medical information can support customers from a compliance perspective. *This webinar will be in Portuguese with no English translation.